We are able to produce coolant filter paper. Our coolant filter paper is developed through quality substance. We provide coolant filter paper, which is called for its potency, chemical conflict and low price. We have a big compilation of coolant filter paper rolls in view of materials and dimensions. These filter paper rolls are developed of high-quality, base substance like pp, polyester, polyester, cellulose, vinyl, etc. The coolant filter paper rolls can also be personalized as per specifications given by the customers. Our Coolant paper is employed in different applications like General Machining, Gear Cutting, Lapping, Honing, Waste Treatment, Tube and Rolling Mills, Production Grinding and Phosphate Baths, etc. We produce and supply coolant filter paper rolls via premium quality substance that is procured from the reliable vendors in the market. These are present in different specifications and can be personalized according to the needs of the customers. These are mostly employed for active filtration in different residential, commercial, pharmaceutical and industrial usage. We provide these at affordable costs in the market. Coolant Filter Fabric Rolls, Filter Paper Roll, Filter Rolls, Non-woven Filter Material, Filter Media, called by many names, but if you have a mechanism employing a coolant fluid, even if a water based mixture or a tidy oil, possibilities are that you employ some kind of Coolant Filter Roll. Employed on different types of Coolant Filtration arrangements like the incessant band (paper-band) deep bed filter system, coolant filter tank, etc., based on the use and filtration needs find out the substance and rank of medium that you need. 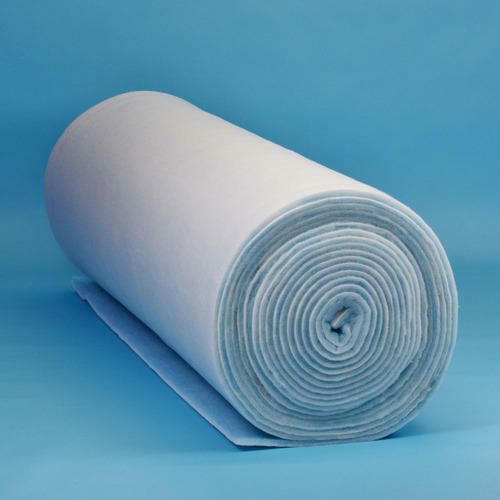 We have a big stock of different normal materials, breadths and ranks of Non-woven filter rolls involving Viscose, Polypropylene, Polyester Needle and Polyester experienced in extents of 50m, 100m and 200m based on the substance and rank. We attempt to stock normal breadths and ranks to fit straight onto most coolant arrangements, which employ this process of filtration. If, your arrangement takes a diverse size, then we can also incise rolls to any dimension needed. So as to furnish to the various demands of praiseworthy patrons, we are capable of offering an ultimate congregation of coolant filter paper roll. Preferably used for coolant filtration, this variety of filter paper roll is broadly used in diverse areas like housing, business, pharmaceutical and manufacturing use. Together with this, the provided variety is verified on number of constraints to make sure its fulfillment with the superiority rules. 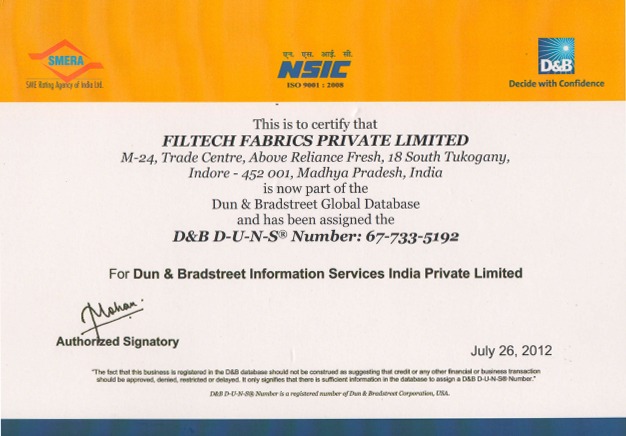 We provide lint-free and FDA ranks of filter paper in addition to non-woven and normal ranks for usage where product clearness is a big issue – involving beverage, pharmaceutical, whiskey, cooking oil, wine, syrups and trade oils. We also give filter presses and gravity cot type components from different suppliers. Also, our changing abilities permit us to provide customized die incised filter press paper, or change to sheets, rolls, circles and any other form or dimension.